Owning a house is a big deal especially in an age when even threading the needle comes for a price. Remembering the fact that a shelter not only accommodates you but also shields you from harmful external elements, it is your duty to take care of your home. A stronger and durable roof is essential to wade off danger. It makes no sense if you have a weak roof and solid foundation; it means that you are open to welcoming storms, tornado, rainfall, snowfall and hailstorms. In order to avoid adverse conditions it is important to select a roofing system that is durable and is able to withstand corrosive elements present in the atmosphere. Climate plays an important role when you shop for a roofing solution. If you reside in a place where rainfall is high, it is better you select a sloping roof for your home. Sloping roofs prevent water from getting collected. They help easy drainage of excess water. Moreover, these roofs are less prone to corrosion. You can select from several Florida roofing solutions. Metal roofs are again a smarter solution for all those who want durability added with cost-efficiency. They are mostly fire resistant and are considered energy savers. So, if you want to save on your electricity bills, then metal roofing is the right option for you. 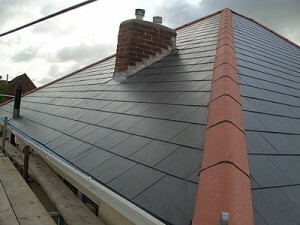 You can even choose roofing solutions relying on slates. Tiles and shingles add grace to your house. They are beautiful and are fortunately available in attractive designs and shades.